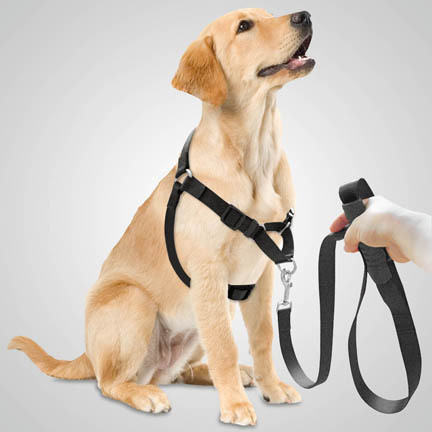 There are many reasons for wanting to use a no pull dog harness on your pet. Some dogs naturally pull and yank when put on a lead and others don't seem to mind the restraint. This pulling can cause pain and harm to the pet and owner. It can also damage a dogs trachea or throat area. Other dogs are prone to breathing issues that may have you considering using a no pulling harness rather than a dog collar (recommended by RSPCA Australia). Get Your No-Pull Harness Here! 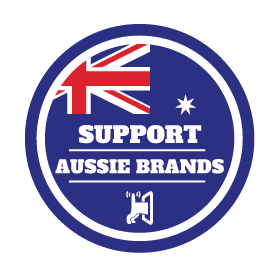 A non-pull pet harness is a great accessory that helps you control arm fatigue from a dog who will not stop pulling on the lead. It can provide a safe way to walk your dog without adding to potential or existing health concerns.They provide a secure anatomical fit that supports your dog in it's strongest and bulkiest areas. A dog with a non-pull harness is much happier without the pressure or pulling at it's neck or throat for correction. Pet owners find better results from leash training their dogs using a no pulling harness for the best control with no harm to the animal. Traditional harnesses have a three point system to their design. It's meant to add comfort for the dog and easy on and off for pet owners. To do this, a 3 point harness system must also take sensitive areas into consideration. Irritation and abrasion are common in the armpit area due to improper fit or abrasive materials. You may need to measure your dog to ensure proper fitting. To check for a good fit you should be able to slide 1 or 2 fingers under the straps. Also check to see that your dog can't wiggle out. 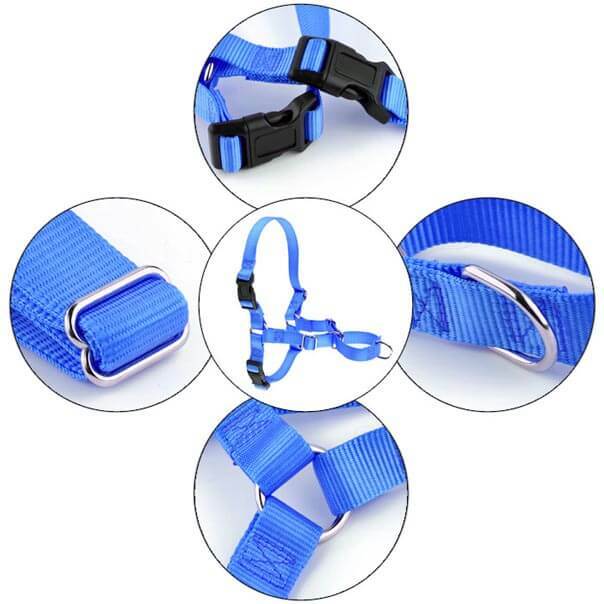 Most non pulling pet harnesses are adjustable and come in different sizes for all breeds of dogs. Comfort and control can be had by using a non pulling harness with dogs that commonly jump and pull when being walked. Some dogs have breathing issues due to smashed snouts and pulling at the throat can cause long term problems. 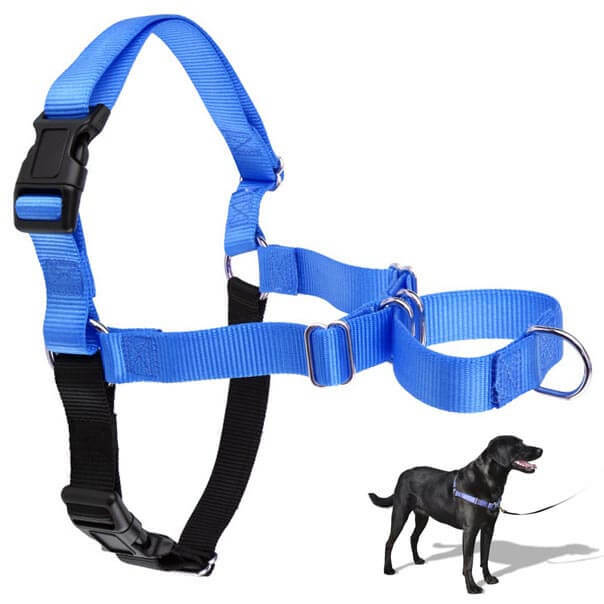 Whether for comfort or health reasons using a special harness for dogs that pull is the way to go while looking out for your dog's health at the same time. Taking the dogs natural anatomy into mind, it makes sense to choose a pet harness that fits properly. A dogs chest and shoulders are where their pulling strength comes from. The anti-pull harness should comfortably support these areas. 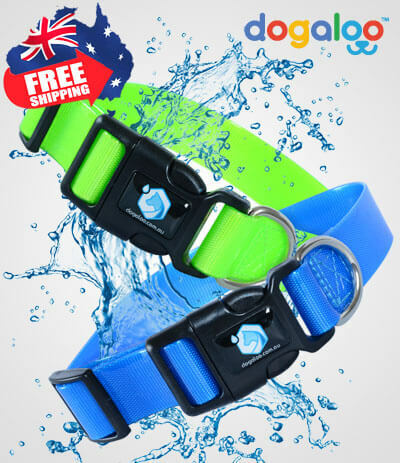 This gives you better control of your dog without pressure in areas that can damage your dogs health. Another good option is the martingale collar (no-pull collars). Specially if you have a fearful and anxiety-ridden dog who constantly slips out of its collar. Nylon is a common material dog harnesses are made of. Some will have padded areas for those sensitive spots that can cause concern. A no pull dog harness system usually connects at the top of the pup's shoulders. This is user friendly and adds extra support in the dogs bulkiest area.